Womens Plus Size (14W-24W) Featured Shops Activewear: Relaxed. Restyled. Even though you're taking it easy, don't forget about our plus size athleisure wear! You can find cute and casual leggings, super soft hoodies, and high quality tees that are perfect for hitting the gym or relaxing at home. 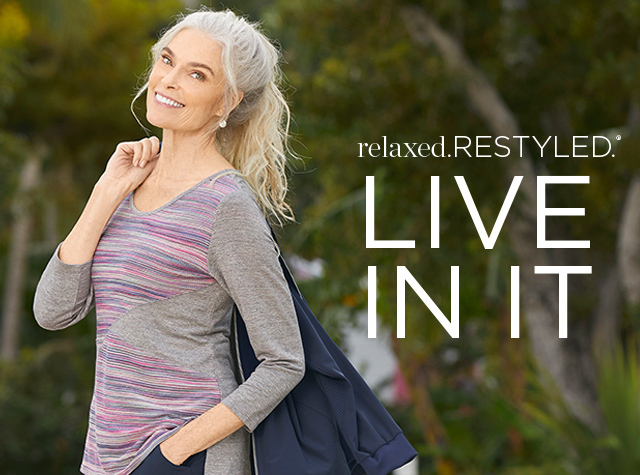 No matter how you like to decompress, slipping into something from our plus size loungewear and athleisure collection is a sure fire way to instant bliss. Be sure to shop our entire collection of women's plus size clothing to shop for any occasion.